Easy for beginners to catch! 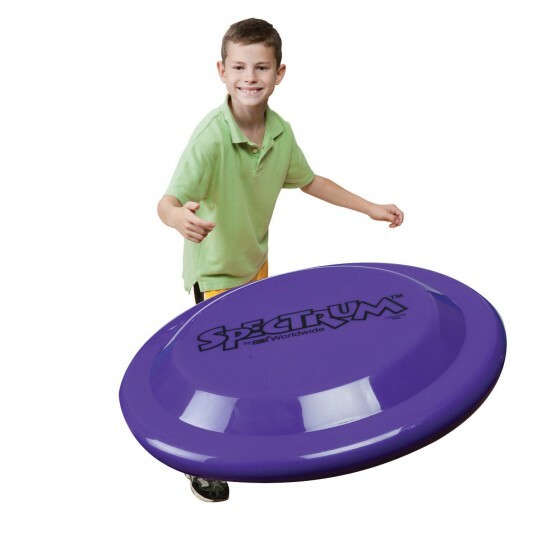 Fun way to improve eye-hand coordination. Our smallest and lightest disc, great for beginners. 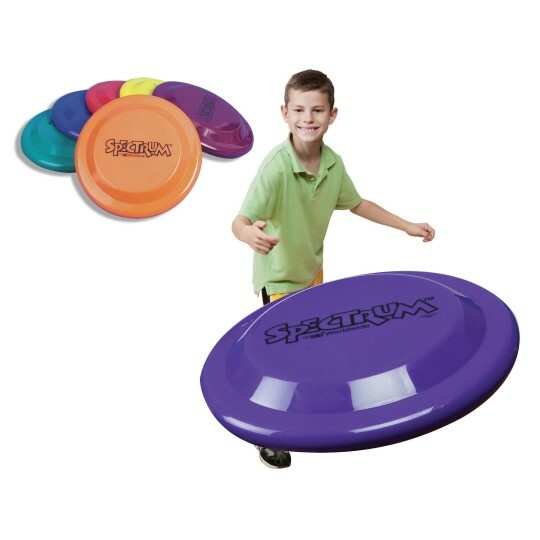 These discs can be used for a variety of teaching applications, from eye-hand coordination skills to basic counting and color recognition. Designed with rounded edges, so they're easier to catch with less intimidation for beginners. 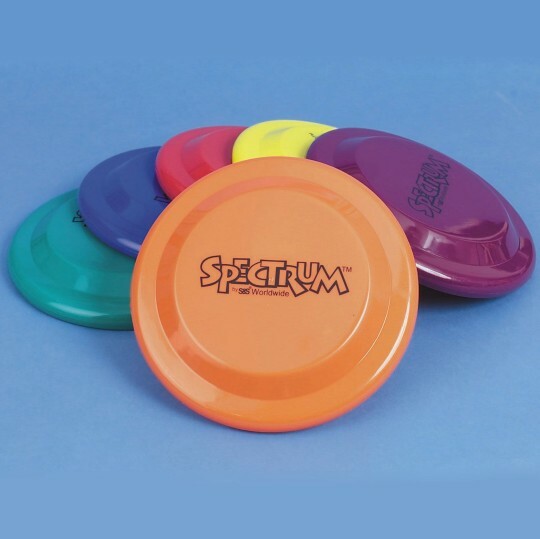 Available in Spectrum colors for easy tracking, class control and added teaching opportunities. Size: 9". Set of 6, one each red, yellow, blue, green, orange and purple. We used them for nursing home residents to hold when doing an exercise program. It brings a great colorful pop to the program. For kids and furry friends too!! I use these discs in my gym for my PE classes. The kids love these as they are easy to use lots of bright colors for them to choose from. Great for games where items are color coded.